Although it may seem difficult to start in the world of surfing, the truth is that the benefits of surfing for your life can help you overcome any initial difficulties if you are looking for a better life. These benefits, even, are not only in your body or in your health, but also in how you relate to yourself and others. Do you want to understand how is it possible? Then see below 5 of these benefits and understand why surfing can be your beach. Surfing is a practice that requires all your muscle groups to work in synchrony, which causes direct impacts on the cardiovascular system. The heart goes on to pump more blood, which happens to run with more pressure and oxygenates the cells better. The result is that there is less risk of the arteries becoming clogged because they are “washed” thanks to the bloodstream that runs faster. The heart also becomes healthier – as well as a muscle that trains frequently – and you happen to be less at risk from situations like heart attack or stroke. Surfing not only requires you to master the waves, but also to get to them. For that, you will need to row to where the waves break, you will need to stand on the board and swim after you are in the water. All this will increase in the body strength one of the benefits of surfing and regular practice will also strengthen the muscles of the entire body. Balancing on the board may seem simple, but in reality it requires a correct and proper posture to balance your weight and to dribble the obstacles created by the waves. Therefore, surfing will also correct possible posture problems, especially if you spend a lot of time sitting. The movements of paddling and swimming also help your upper muscles to be more aligned, preventing you from acquiring a forward curved posture, for example. Surfing requires a lot of your body and, therefore, accelerates your metabolism. With the body running at full steam, the body goes to look for other sources of energy – and that’s where the fat burning goes. Therefore, surfing eliminates some important calories if you want to lose weight, lose measurements or even get more muscle definition. Without suffering, you can lose weight and have fun at the same time. More than any other advantage of surfing, this practice changes your lifestyle. You happen to have more contact with nature, more body awareness and frequently become an integral part of a select group of people used to dribbling the waves in your area. The result is that your quality of life suffers a significant improvement: you have a greater sense of well-being, you work on your social skills, you sleep better, you have more self-esteem and you also suffer less with stress. 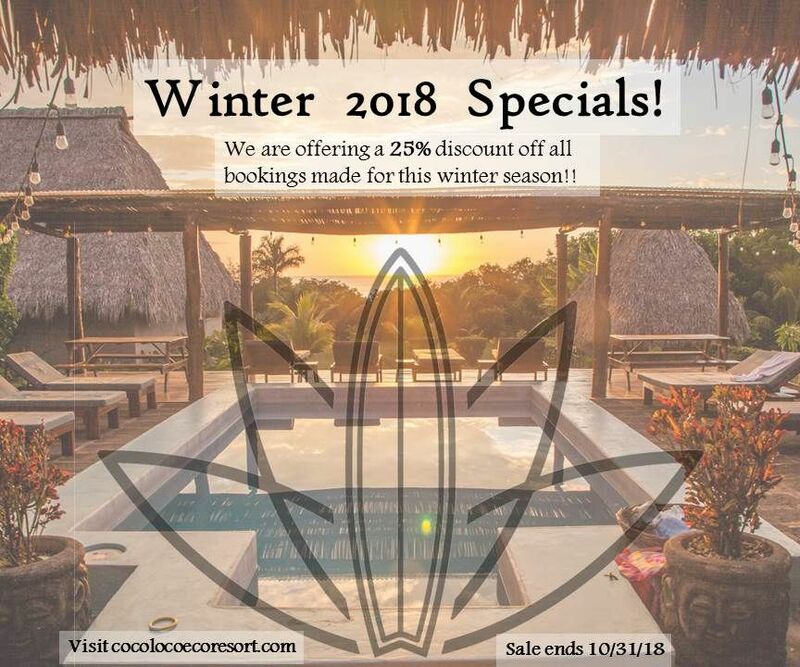 Only 1 and a half from the capital of Nicaragua is Coco Loco Eco resort with qualified surf instructors, receives specialized classes in one of the best beaches in Nicaragua. Come and receive a special discount.